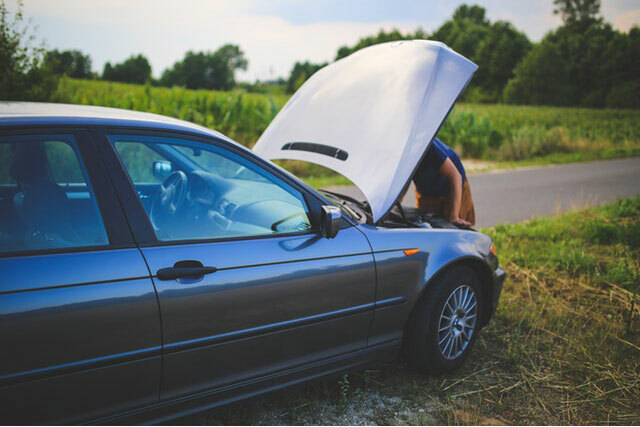 Having your car break down on the side of the road can be an extremely scary situation, especially if you don’t know what to do. We want to help drivers understand what they should do if their car breaks down to save you stress or a potential accident. The first thing you should do when your car breaks down is, if possible, pull over to the side of the road or the shoulder on the highway. This is crucial for your safety because if you’re stuck in the middle of traffic, you are more likely to cause a collision. If you are unable to move your car, make sure to put your emergency lights on and light an emergency flare if you can access one. In the worst-case scenario, leave your vehicle safely if you think you may be hit from behind. The next thing to remember if your car breaks down is to take note of your location. If you are on the freeway, try to see what exit you just passed or what the next upcoming exit is. When you call for help, the 9-1-1 dispatchers are going to ask for your location. State the highway you are on, the closest exits, any mile markers you see, and any other identifiable information. Once you have a good idea of your location and you are in a safe area, call 9-1-1 for help. The dispatcher will ask whether or not this is an emergency call and help guide you to next steps. They may send out a tow truck, ambulance, police officers, or a firetruck, depending on the severity of the situation. Next, call anyone close to you and share your information with them. When calling for help, provide emergency information like your location, phone number, a description of your vehicle, the situation of your problem, any special circumstances that a tow truck driver or police officer might need to know, and any other pertinent details. While we never want to think of an emergency happening, even the nicest, newest cars can break down. Because of this, it is crucial to prepare for an emergency even before it happens. The best way to prepare for emergency is to make sure your car is properly serviced. Most car breakdowns are likely the result of improper maintenance and many of these accidents are avoidable. Most car mechanics recommend a full service once a year or every 12,000 miles, whichever comes first. At first, some car owners consider this maintenance too expensive, but preventive care will pay for itself in the long run. By continuously maintaining your car, you will save yourself last-minute fixes and emergency breakdowns. There are many other things to stock your car with to prepare for a breakdown, but this is a good start. By knowing what to do if your car breaks down and preparing yourself before anything happens, you can keep yourself safe.